This Search tool can help you determine your eligibility for credit by looking at the precedents established for courses and programs previously assessed for credit by UQ. 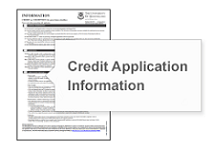 Credit Precedents are previously decided credit applications that UQ may apply when deciding subsequent applications with similar facts. Anyone who has completed previous studies at another institution and is considering applying for credit towards their program at The University of Queensland. Anyone who is currently enrolled at UQ and is intending to undertake equivalent courses at another institution as a Cross-Institutional or Exchange student. Please add the UQ and other institution course codes for the precedent or precedents that apply to your case on your Credit Application Form. This completed form should then be sent to the faculty responsible for your program. If you are unsure which faculty is responsible for your program please visit the Courses and Programs website. If you did not find a corresponding course (either recommended or not recommended) in the Credit Precedents Database then you may still apply for credit for the course, however you must supply your Faculty with a Full Course Profile from the other institution when submitting your Credit Application Form. If you have completed previous studies at UQ or another institution you may be eligible for credit towards your UQ program. Credit will not be granted for courses where a minimum UQ equivalent grade of 4 (pass) was not obtained (see section 5.5.1 of University policy) 3.50.03 Credit for Previous Studies and Recognised Prior Learning. For further information please visit my.UQ. Enter UQ into the Institution Field. Enter either the Course or Program name. The results will show past credit precedents related to your choice of study at UQ. Enter The Institution name into the Institution Field. Enter the Institution Course or Program name. The results will show credit precedents related to your choice of study. The credit precedents information on this site is provided as a guide only. Credit is awarded in accordance with university policy 3.50.03 Credit for Previous Studies and Recognised Prior Learning. The amount of credit awarded depends on the recency of the studies and equivalence to current courses at UQ, and is subject to limits specified in the University policy and program rules.